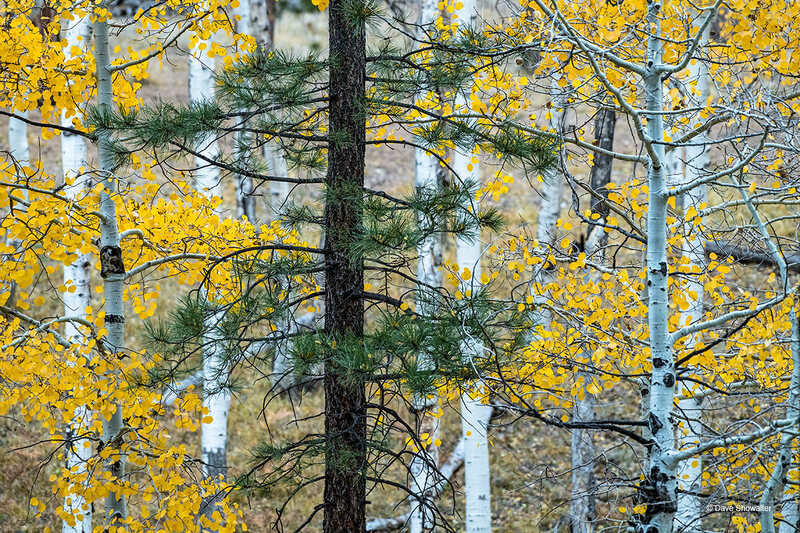 A single ponderosa pine in a cluster of autumn aspen clones on the Grand Canyon's North Rim. The ponderosa pine ecosystem between 7,000 and 8,200 feet is one of five major ecostems of the Grand Canyon. Photo © copyright by Dave Showalter.